ACCRETIO – an OPEN Health company, the healthcare consultancy offering strategic solutions and implementation services, has appointed Neil Levinson as Strategy Director. 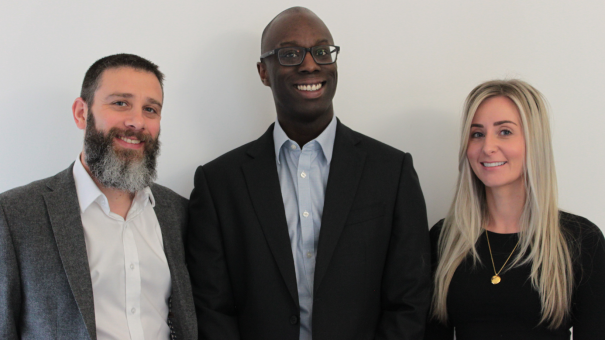 Neil will join the ACCRETIO leadership team alongside Managing Director, Richard Baderin and Operations Director, Charlotte Richards. Most recently, Neil was Vice President at Kaiser Associates, a global strategy consulting firm, where he led the European Healthcare Practice. Prior to joining Kaiser, Neil spent 10 years at IMS Health, where as Senior Principal he led the UK & Ireland Consulting Services business and was a member of the UK & Ireland Senior Leadership team. Neil has experience of managing both strategic and tactical projects across Europe and South Africa and has worked with a variety of clients including large pharmaceutical and biotechnology companies. His work has focused on commercial & launch strategy, salesforce & marketing effectiveness and go-to-market models. Neil holds a PhD in Biochemistry from Imperial College and an MBA from Cass Business School. For further information please contact ACCRETIO on 01628481112 or get in touch via email onrichardbaderin@accretio.co.uk.